As Season 10 closes, we look ahead to Season 11 and the new Necromancer class. Outside of the class, there are several fixes that have been implemented by Blizzard that may cause a shift in the current 4-man meta. With the big break between Season 10 and 11, the meta will become more clear as we approach July 20. In the beginning of Season 10, there were 3 possible contenders for the rift guardian killer spot in the 4 man meta: the Wizard, Monk, and Demon Hunter. In the end, the Wizard came out on top especially with the cow level exploit. This was where Wizards could hop in a pre-pulled cow level, gain a ton of archon stacks, and hop back in the rift to kill the RG. However, this was fixed in the PTR. With this fix, the Wizard will no longer be ways ahead of the other 2, and may possibly even be behind the Demon Hunter, as the class was ahead in the rankings until the exploit became popular. All things the same, the rift guardian killer spot will be up for grabs again. The biggest thing to change Season 11 is the addition of a new class, the Necromancer. While it is still unclear what the Necro's role will be in the group meta (or if it will even be in the group meta), there is one thing the addition of this class may result in: it could lead to a possible shift back to the 3 support 1 DPS meta, last seen in Season 6. Comps like this are only possible if the DPS can fulfill both the rift clear (currently held by the LoN WD) and rift guardian kill roles. Whether this happens or not remains much of a mystery, but with the Necromancer releases and the huge break between Season 10 and Season 11, its role - or lack of one - will become clear. Season 10 was an exciting season, bringing with it 2 major changes. While the WD remained in the meta, its build did change into one that I felt was more fun to play. Additionally, the gen Monk was also replaced by the lightning Wiz for the rift guardian clear, and we almost saw rift clears as high as we did in Season 6. Frequ (twitch.tv/zpassionfruit) currently writes content for Diablo Fans. After taking his part in high end GRing, he has decided to take a more casual approach to the game while remaining up-to-date with the meta. 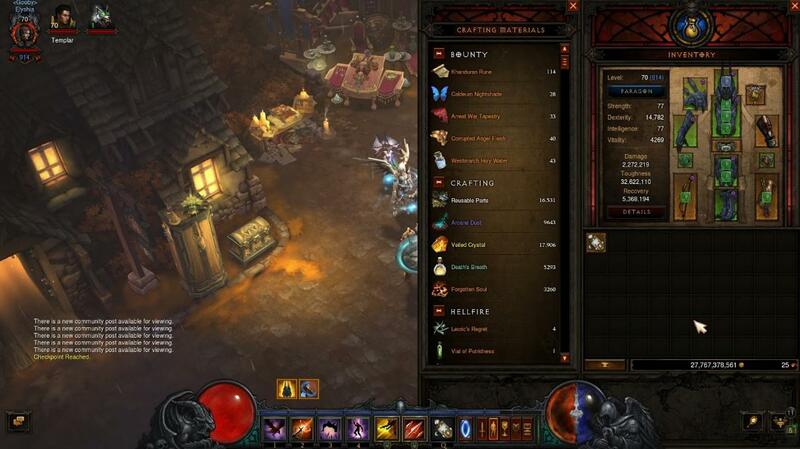 This guide is separated into 2 main sections: leveling normally and power leveling. For these guides, we’ll assume that you’re in a 4 man group. If you solo level, you’ll be doing the same things, just more slowly. With this knowledge, you should be fully geared within 1-6 hours of hitting 70 depending on RNG or your free set. With normal leveling, you’ll hit 70 in 2-4 hours depending on what leveling plan you take. Once you hit 70, your first goal is to get the 6 piece bonus as fast as possible, all while doing everything in a group if you can. Once you get your 6 piece, you should be ready for T6 speeds at the very least. 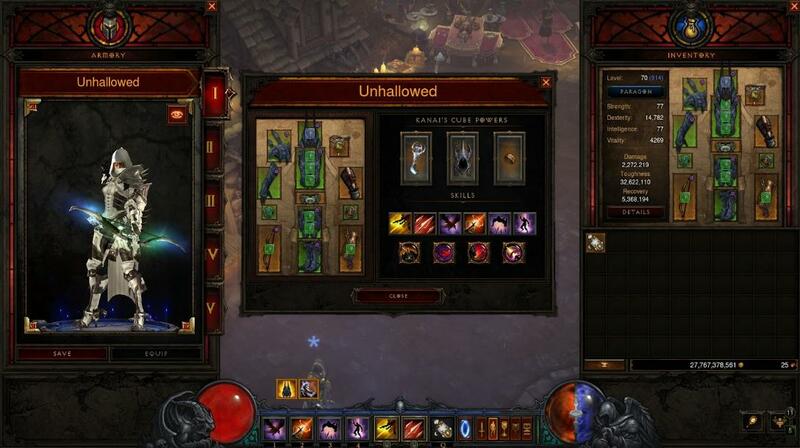 You want to be clearing Nephalem Rifts at difficulties which you can do fast in respect to your build. This is usually sub 5 with a makeshift build or ~2 mins with an actual speed build. For Greater Rifts, you should move it up a little bit higher to get more value from your keys. For example, as soon as we got our 6 piece, my group started doing T7 speeds, but did GR 35+s (T8) with our keys, gradually increasing the difficulty as we got more gear. With this, you should gradually get all the gear you need for your speed build or push build depending on what your group is aiming to do. If you decide to power level, you’ll hit 70 in 5-30 mins - depending on if you have a proper booster or not (just look for a lightning wiz). If you want to get the rest of your gear through your own means, you can follow the Normal Leveling instructions above for gearing. However, you’ll want to craft/spend blood shards for some level 70 armor and a 2 handed weapon before going out. If you opt to leech after you finish power leveling, ignore your 6 piece and just hop in Nephalem Rifts to get keys. Make sure to follow your carry closely so you don’t die, and be sure to pick up any good drops for mats. I recommend putting a vit gem on your helm and diamonds on your armor for survivability. All your spells should be for mobility/damage reduction since your damage is meaningless while you are getting carried. Once you have a good amount of keys, ask your carry to spam Greater Rifts for you, as you can just stay at the door since only the boss drops loot. In addition, more legendaries tend to drop in Greater Rifts, so you’ll get the gear you need faster. The next thing that will speed up your gearing is knowing how to build around what you currently have - or if it’s even worth building around at all. The only way you can do this is by playing the game and figuring out what legendaries are useable and what legendaries are just stat sticks. If you are new or casual and have no idea of what to do, I would suggest looking over some builds on the site and choosing one that you think you’ll enjoy. Doing this will also give you a decent grasp of what legendaries are good and which legendaries aren’t. Yeah, we'd open it to everyone if we could - out of our hands! Thanks for the good luck! We've gotten some great applicants already. Thanks! We could really use someone to help manage the site. If you know of anyone who would be a great fit, be sure to encourage them to apply! Congrats to the Diablo Fans dev team for getting this live! Can't wait to see all the awesome builds.